Promotional Sport Baseball Mixing Glass 16oz is made from high-quality glass. Personalized Sports Mixing Glass comes with great capacity. 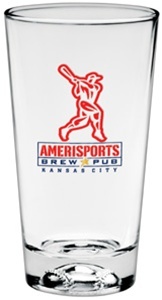 Promotional Sport Baseball Mixing Glass 16oz is available in Clear Glass color.